I have been telling my patients for years to take a strong multivitamin every day just as a general guarantee. No matter how good your diet is, there will always be indiscretions. And the nutrient content of foods today is nowhere near the same as it has been in the past. Now a brand new study is showing one more reason why this simple precaution makes sense. 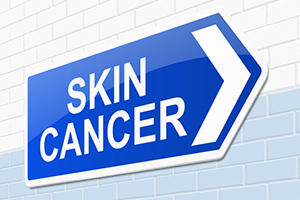 The most common cancers you can get are known as non-melanoma skin cancers. The two major ones are basal cell and squamous cell cancers. But what if there was one particular vitamin that protected you from these cancers? It turns out that there is. And it is in every multivitamin you can buy. The scientists that conducted the study first point out that vitamin B3 is extremely important for the skin. First, it improves the way skin cells repair damaged DNA. Damaged DNA is one of the causes of skin cancer. In the course of everyday life, our DNA gets damaged. But, of course, we have systems that can repair the damage. And vitamin B3 is essential to those systems. Second, it protects our skin from excessive exposure to sunlight. When skin is sunburned, it reduces the immune activity in the skin. This sets the stage for skin-cancer promotion. 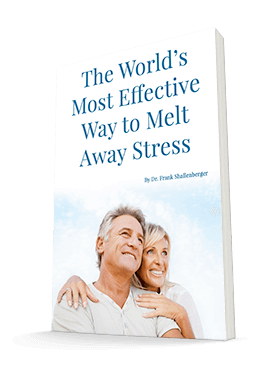 Animal studies have shown that vitamin B3 prevents this immune suppression. And third, when researchers give it to mice before they expose them to doses of ultraviolet radiation that typically cause skin cancer, it protects them from getting the cancers. In this new study, the researchers looked at 386 men and women. All of these people had one thing in common. Each one of them had at least two skin cancers in the past five years. They gave half of them 500 mg of vitamin B3 in the form of nicotinamide. Nicotinamide is also referred to as niacinamide. They gave the other half a placebo. Then they followed the group every three months for a year to see what happened. The results once again point out just how powerful taking a multivitamin can be for your health and well-being. Here's what happened. The people taking nicotinamide showed immediate benefits. It reduced basal cell and squamous cell cancers by 23%. And it reduced actinic keratosis counts by 20%. Actinic keratosis refers to the common changes in the skin that can lead to skin cancers. Senior author Dr. Diona Damian stated, "This reduction in skin cancers seemed to start as early as the first three-month visit." However, she added, "When people stopped taking their tablets after 12 months, the benefit was no longer seen. In other words, you need to continue taking the tablets in order for them to be effective." The authors concluded by saying, "Nicotinamide reduces non-melanoma skin cancer formation in high-risk patients and is well tolerated. Furthermore, it is widely accessible as an inexpensive over-the-counter vitamin supplement and presents a new chemopreventive opportunity against non-melanoma skin cancers that is readily translatable into clinical practice." In other words, take advantage of this vitamin and take it every day. A little over 30 years ago, I designed the very first green powder that was focused on detoxification, immune stimulation, and multi-vitamin supplementation. So far there’s still nothing like it on the market. I call it Super Immune QuickStart. And from the beginning, I put in a very healthy amount of vitamin B3 in the form of niacin. I believe that studies like this one simply underline how important it is to take an extra source of nutrition to add to your diet because you never know how it will help. Martin AJ, Chen A, Choy B, et al. Oral nicotinamide to reduce actinic cancer: A phase 3 double-blind randomized controlled trial. J Clin Oncol 33, 2015. Oral nicotinamide to reduce actinic cancer: A phase 3 double-blind randomized controlled trial.